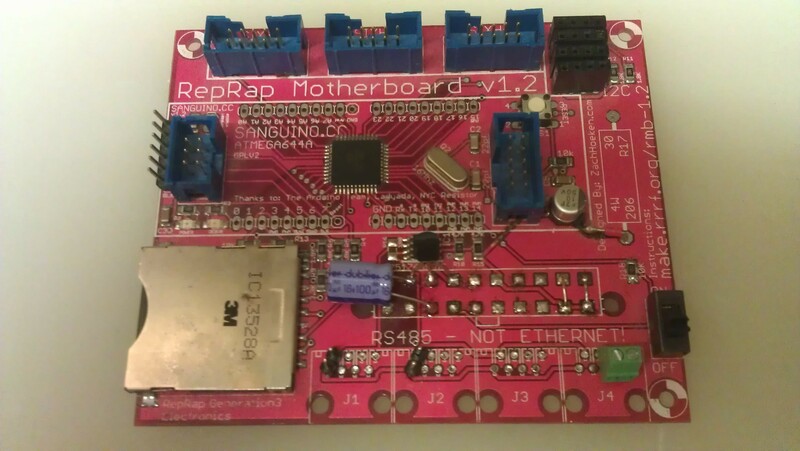 I have been progressing slowly with my reprap build, spending a little time here and there modifying the electronics so that the wiring is neater. 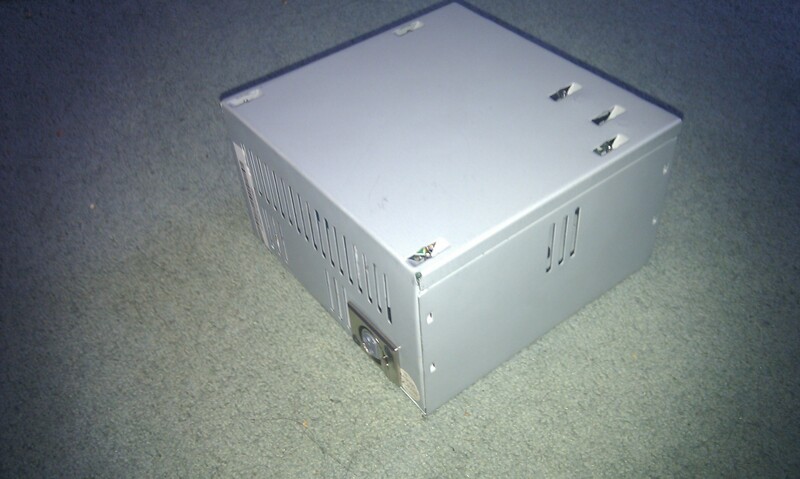 There are some details on the reprap wiki about how hack an ATX power supply to give you a universal power supply. 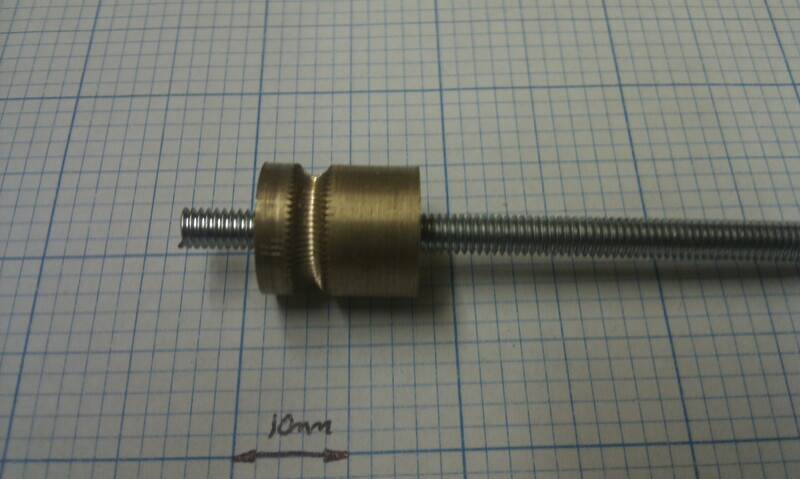 This is my sightly neater solution which is specifically suited to reprap only. With minimal filing the standard ATX power supply grommet hole can be opened out to fit a standard XLR socket. I used a female socket as opposed to the male socket mounted on the reprap. This is standard practice and ensures that the pins of the socket cannot be touched if the connector is removed. In general the live end is protected and the cold end is not. After a few helpful comments I was pointed in the right direction for drilling a hole down the middle of my hobbed M4 insert. Unfortunately I didn’t have a drill vice, so I used my trusty Block’o’Wood and a fair amount of extra caution instead. It really is amazing how well this technique works, the drill bit doesn’t have to be perfectly centered but because the work piece is spinning around a central axis its near impossible not to get the hole dead centre. 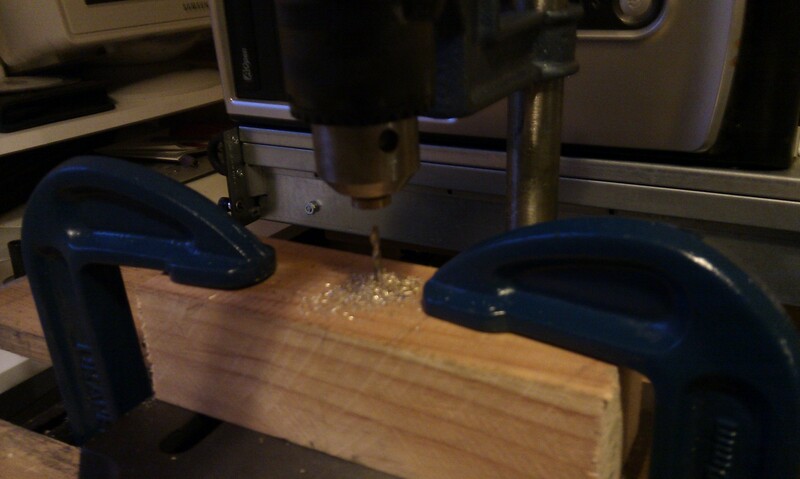 I guess this is why a metal lathe has the drill bit set-up in the tail-stock. 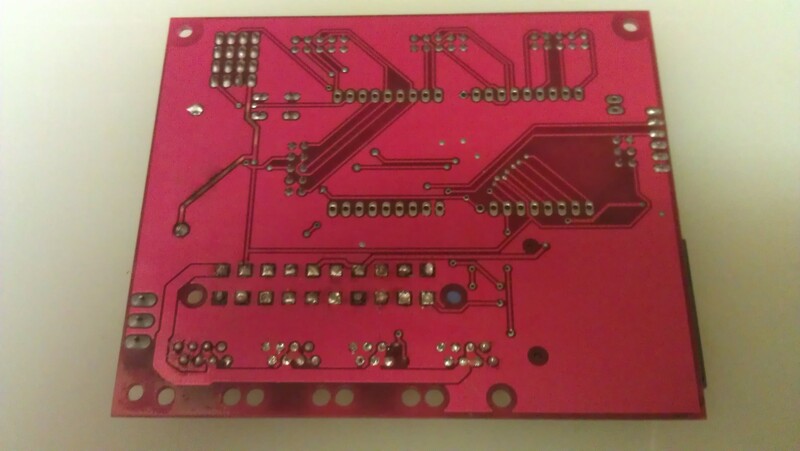 I am very pleased with the result, as it runs nice and true when rotated. All I have to do now is drill the M3 grub screw hole.